The Allagash brewery in Portland, Maine. is a micro-brewery that isn’t so small anymore. It sells its products in 17 states and the District of Columbia. Jack’s Abby Brewing started out in a small Framingham warehouse 4½ years ago with just three people: founding brothers Jack, Eric, and Sam Hendler, each working 100 hours a week. 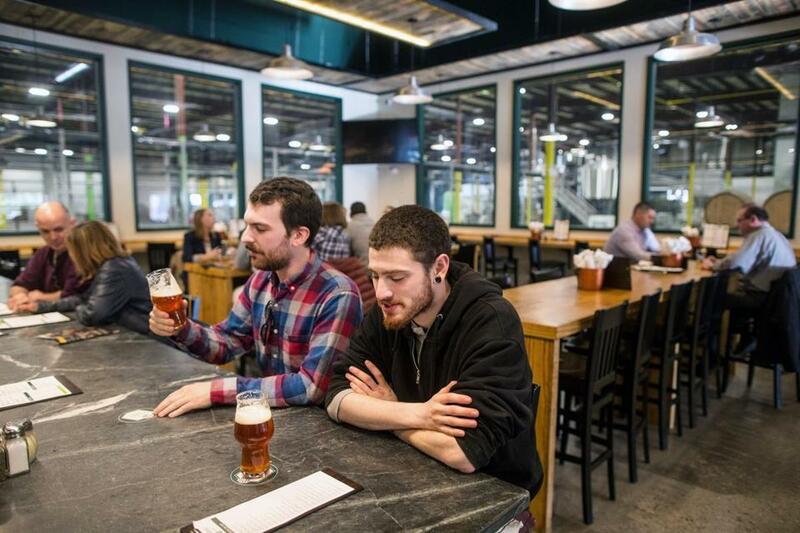 Today, the brewery occupies more than 10 times the space of that first location, employs 65 people, and is a destination in downtown Framingham, drawing crowds that line up on Saturdays to fill growlers and get a bite to eat. 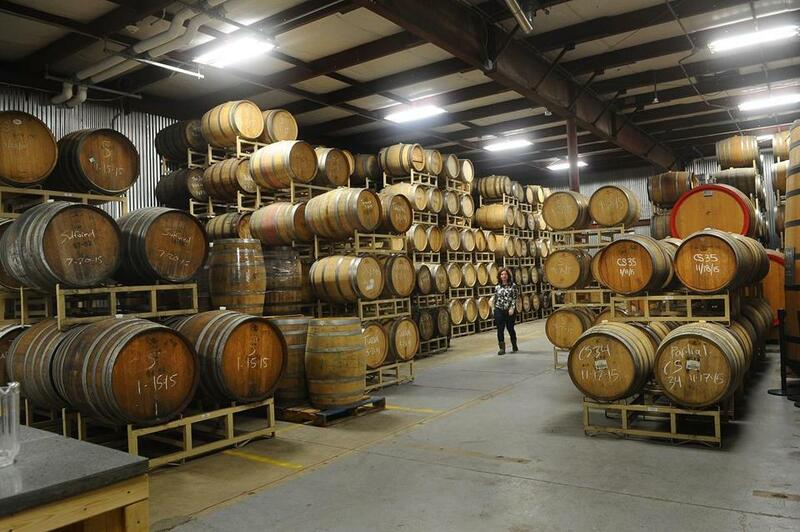 The brewery’s recent move to a $6 million space, which has the capacity to multiply production sixfold, took more than a year of planning and negotiating, a bank loan, and tax relief from the town. The new facility, which opened in early October in a long-vacant building that was once part of the Dennison complex on Clinton Street, has changed every facet of the business, from requiring much larger quantities of malt and hops to moving to an automated production line that handles cans as well as bottles. They’ve added a kitchen, beer hall, and serving staff and changed sales strategies and brand design. Because the newly installed canning line requires a different ink process for labels, the brewery had to change its logos. Payroll has grown to 65 people from 30, mostly kitchen and serving staff for the beer hall, which offers a full menu of pizza, sandwiches, and German-inspired dishes. The fermentation area at Jack’s Abby in Framingham. They’ve been open to the public for less than two months, and the business they do on Saturdays alone rivals what they would see in two weeks at the old place, Sam Hendler said. During a soft opening that they thought would attract few people, they ran out of food and quickly realized they’d need to double the planned size of the front-of-the-house staff. The leap that Jack’s Abby is making is substantial, but as the appetite for craft beer grows, it’s not unique. Nationwide, both the number of craft breweries and volume of craft beer production grew by nearly 20 percent from 2013 to 2014, according to the Brewers Association, a trade group. Brewers like Jack’s Abby and Trillium, a company in the Fort Point Channel section of Boston that’s building a new production facility and tasting room in Canton, are trying to satisfy demand while maintaining the quality and taste their customers expect. The decision to expand comes with complex questions: How big to grow? How to reach new customers without alienating loyal followers? And significantly, how to pay for it? Bank loans? Investors? Or go the way of San Diego-based Ballast Point Brewing & Spirits, which was recently bought by Constellation Brands for $1 billion? And there are cautionary tales. Watson pointed to Pete’s Brewing Co., maker of Pete’s Wicked Ale, as a brand that grew, was bought, lost the ability to control the product, and then shut down. Customers Alex Upton and Ben Chapin enjoyed a brew at the new Jack’s Abby in Framingham. Jack’s Abby rejected the idea of taking on investors and went with a loan from Mutual One Bank. 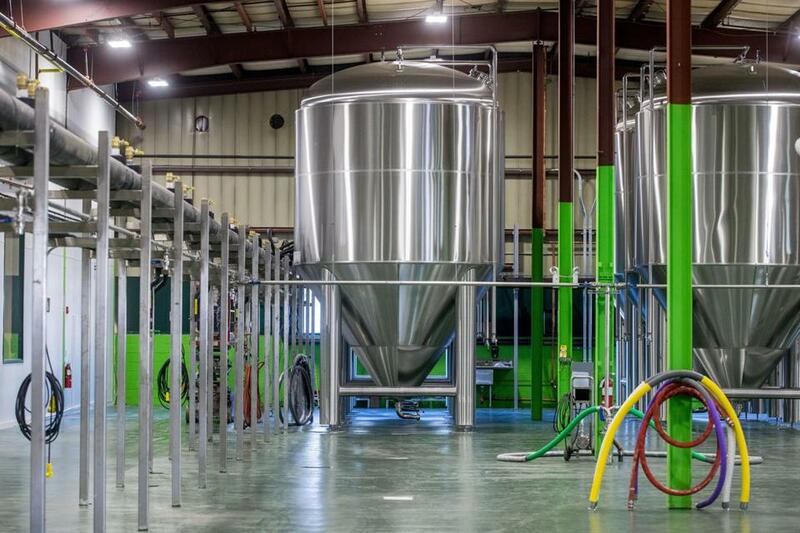 The expansion allows the brewery to produce enough beer to maintain sales in Massachusetts, Rhode Island, Connecticut, and upstate New York, and break into new markets, including New York City, New Hampshire, and Maine. However, production won’t increase until the quality can be replicated in the new space and the production lines in the old Morton Street facility are shut down. “The key isn’t hitting any specific number for 2016 for us, it’s more the long-term opportunities that are there and making sure we set ourselves up for long-term, steady growth,” Sam Hendler said. The Hendlers have looked to Allagash Brewing Co., which produces Belgian-style beers in Portland, Maine, as a model of smart growth. Allagash started with founder Rob Tod working on his own in a corner of a warehouse, and now sells its products in 17 states and the District of Columbia. It’s still owned by the same small team, though it employs close to 100 people. Owners of The Alchemist John and Jen Kimmich. In Vermont, The Alchemist, which brews the supremely popular Heady Topper, is in the midst of a $10 million expansion that will allow it to double its current production of 9,000 barrels and to sell directly to customers in a new visitors center. Owners John and Jen Kimmich have worked hard to manage the business’s growth without taking on investors. Their company is contributing 20 percent of the cost of the new facility and taking a bank loan and a Small Business Administration loan for the rest. 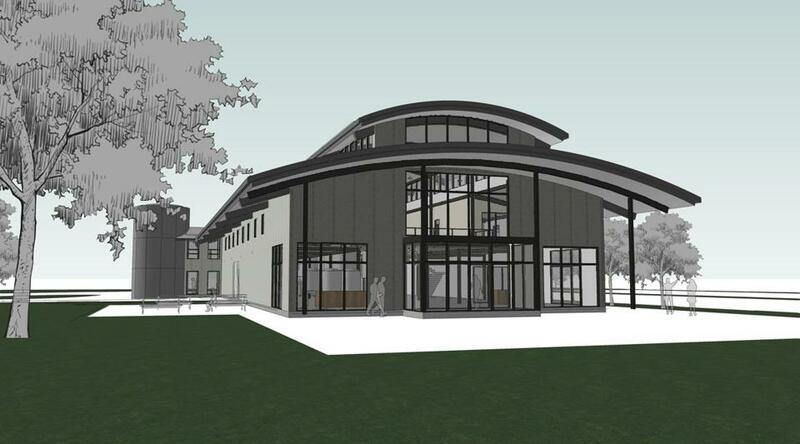 The Alchemist brewery is doubling production and moving to a new facility (rendering above). Jill Terreri Ramos can be reached at jill.ramos@globe.com. Follow her on Twitter@jillterreri.